Mary | Where is @rusnivek? 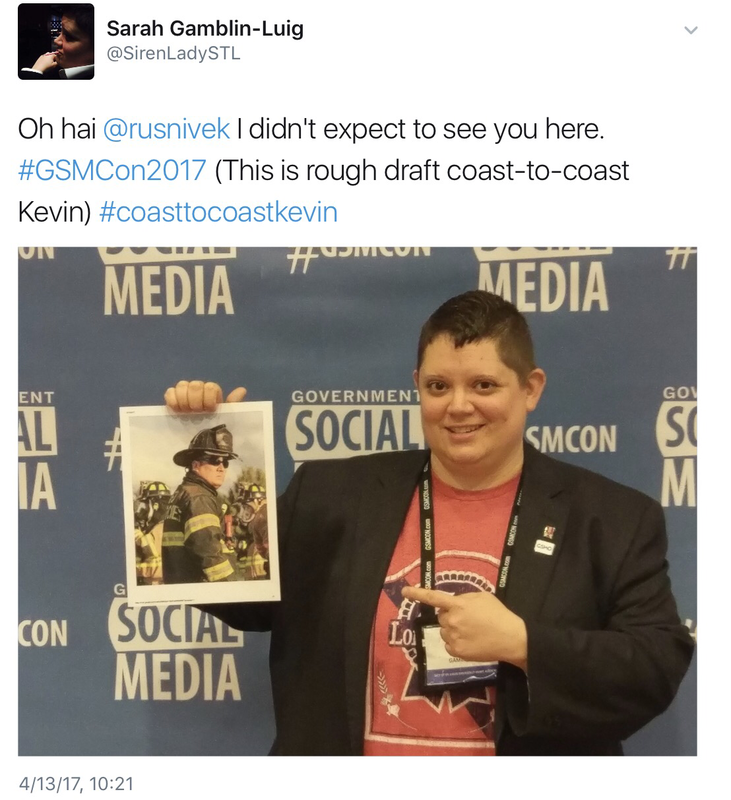 Today, I am “attending” the Government Social Media Conference (#GSMCon2017) in Dallas. 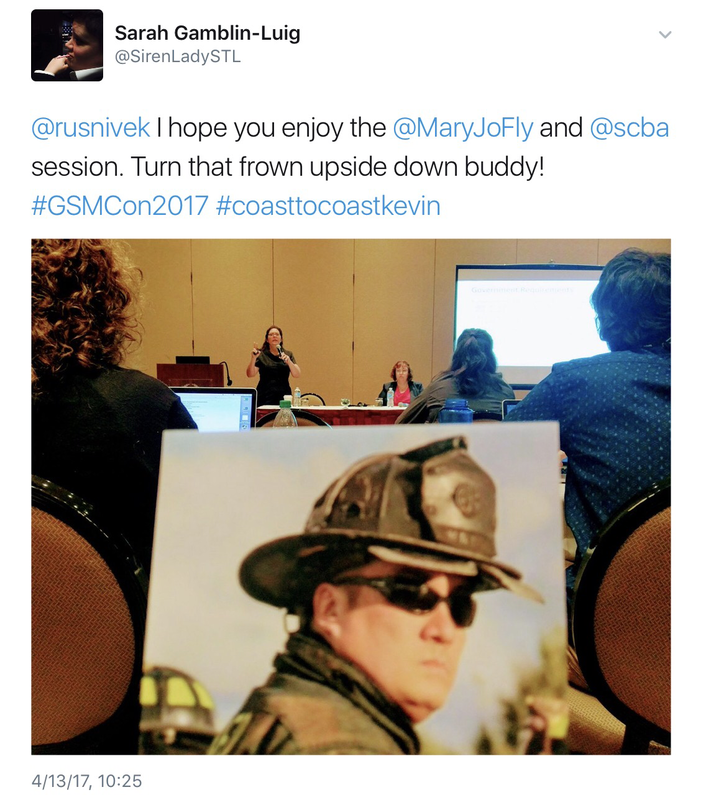 Thanks to a few late night ideas spurred by Maryland Emergency Management’s Emily Allen (@allen_emilym) and Garden Grove Fire California Capt Nguyen (@PIOthanhn). Sounds like an interesting talk from Mary Jo Flynn and Sarah Miller now on Social Media and UAS use by government officials. Ahem. Well, what can I say? Maybe a few safety messages on keeping your mobile devices charged…..Wait, Lazo can you help? I tried to win a few raffle prizes, but sadly that didn’t happen. While on the step and repeat, Conference host Kristy Dalton is giving me the look…the look to attend #GSMCon2018 too. I spy, with my right eye…Bronlea too!